The Huskies’ football recruiting class drew a composite ranking of 23rd, a number meaningless to Chris Petersen, whose track record without five-star players shouts for itself. Now that Chris Petersen has resolved the yeah-he-did-it-at-little-Boise-State-but slur by going to the College Football Playoffs in his third season at Washington, he can do a little big-footing from his elevated podium. So he took a shot at the Recruiting Industrial Complex (h/t to Andy Staples at si.com). 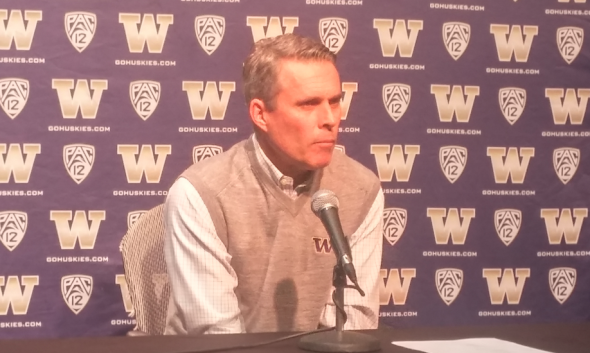 After the standard blather about his 17-player recruiting class announced Wednesday afternoon on national signing day, Petersen answered a question about the players who got away before the question was even asked. “There’s a few things that I really believe strongly in, in terms of football and recruiting, and I’ll never get away from it,” he said. “One of them is, we never worry about the kids that don’t come here. I just laugh at some of the stars that some of these guys have (from recruiting sites and services) when four months ago, they were not even on anybody’s radar. That has nothing to do with our program. More specifically, what he’s saying is that the high-profile, five-star guys — none of whom appear on the Huskies’ list — who de-commit and go elsewhere by the signing day cannot, with any credibility, be thrown back in his face three years down the road when playing for Stanford or USC. Phillips’ southern-fried message was about as high a compliment as can be paid a college or pro football coach, because it says his system and teaching methods will, over the long term, prevail over player talent. See Belichick, Bill, Sunday. Doesn’t mean the Huskies necessarily are going to beat Alabama, either last season or next season. But it does suggest than the number of stars next to a recruit’s name, relative to future outcomes, is as meaningful as algebra is to a cat. USA Today annually publishes a compilation of four prep scouting services’ rankings of recruiting classes. The latest one ranks the Huskies 23rd, or fifth in the Pac-12 Conference behind USC, Stanford, UCLA and even Oregon, which under new coach Willie Taggart was spending part of the recruiting period firing offensive co-coordinator David Reaves for a DUI. If Oregon did that well with one drunk tied behind its back, imagine the possibilities down the, um, road. Petersen wasn’t even getting 20-something rankings when he was at Boise State, yet he beat Oklahoma in the 2007 Fiesta Bowl and beat the Ducks twice, part of a 92-12 record he accumulated before coming to Montlake in 2013. Then you may have read about a little 70-21 whipping of the Ducks in 2016. As the interloper in the four-team playoff that included longtime national powerhouses Alabama and Ohio State, plus a more recent national entrant, Clemson, the Pac-12 champion was naturally expected to get a bounce in recruiting. But two premier local players got away, OT Foster Sarell of Graham-Kapowsin High and RB Connor Wedington of Sumner High. Both went to Stanford. If both can hack the academic grind, the value of a Stanford degree is an unquestioned long-term virtue. After Jim Harbaugh proved at Stancford it was possible to recruit to academics instead of against academics, Stanford will always lift a player or two over the fence around Montlake. But Petersen did offer up the closest thing to a brag in his Huskies tenure. “I will say this: We recruited guys in this class that had no offers when we started, and when they were done, they had every offer in the country,” he said, without naming names. “It was similar (at Boise). We would do the same thing, and then people would start paying very close attention. “I think our coaches are very good evaluators of talent. They do a good job of knowing what fits us, and developing it. If a guy gets an offer from us, I think they are going to attract a lot of attention, especially if there’s a year or half a year left (in the recruiting calendar). That suggests perhaps some primary appeals to Petersen’s approach: He knows exactly who he is, knows the profile of players he seeks (“our kinda guys”), makes no false promises, accepts that developmental coaching is essential, and makes clear to all that Washington is his ultimate career destination, as long as the school will have him. That’s how a coach never adds a worry-line about ones who get away. It’s that kind of solidity that is attractive to players and families who tend to be dubious of a Lane Kiffin-style dazzle. It tends to draw enough of his’n to beat almost all your’n. Algebra for cats is a good line. 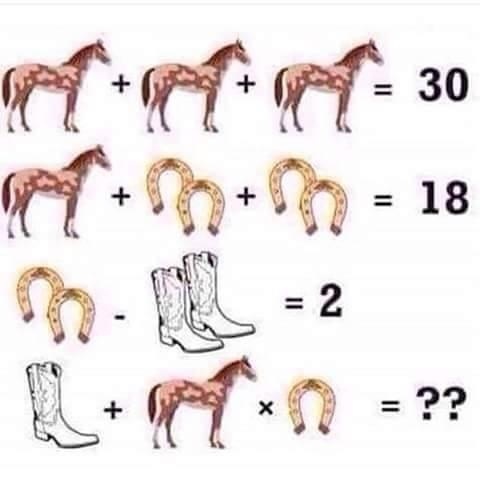 How about for horses? Makes sense. Pats by 7. Ratings can be misleading in another way, too. Washington got better athletes by “stars,” but fewer of them, than Oregon, which took several more players than Washington had room for this year. Does that make Oregon’s class “better?” Or just bigger? The numbers are variable because of scholarship slots available per class, and whether a coach wants to hold some for players who sign later, or use in promoting walk-ons to full rides. Can’t be more than 85 total in any one year. Hey Arthur — I believe that Bum quote was actually referring to Bear Bryant. Go ahead, look it up.